A new business needs a website built from scratch, which began with honing in on this geriatric care management practice's target marketing audience. Licensed social worker Marcie Dimenstein’s clients are elders, but it is primarily their adult children and families who research their care options. 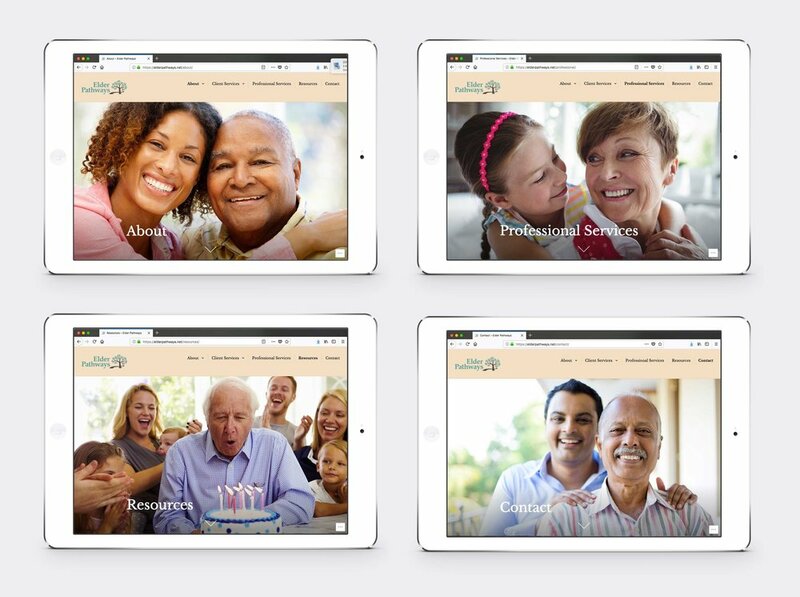 The Elder Pathways website focuses on informing her audience while creating a sense of comfort and well-being. The photography utilized was hand-picked to illustrate families treasuring their relationships with loved ones, and the brand's tagline "Helping Elders Find Their Joy." The project included planning and building content, testing and giving the business owner the skills and tools needed to update her site with independence.